Get a blow-torch on them, yeah? Researchers have found that a blast of 800C heat can stop flash memory from wearing out. 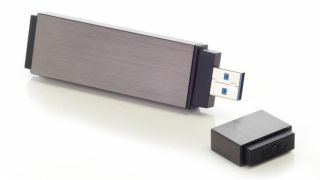 Current flash drives tend to burn out after 10,000 cycles of data being written and read, which is a bit of an issue for server farms and other data-heavy computing outlets relying on solid state drives (SSDs) day-in-day-out. Scientists now reckon that with this toasty blast SSDs can last up to 100 million cycles instead. A quick heat hit is much easier to apply than baking the chip for hours at 250C in situ, as was the previous "solution". Scientists looked to future memory sources for inspiration, deciding to try a solution used by phase change RAM (PCRAM) which could end up usurping flash memory in the long run. The Macronix engineers redesigned a flash memory chip with tiny onboard heaters that can use an electric current to generate pulses of heat just a few milliseconds long that have a healing effect on the chip. Sounds power-hungry, but the scientists argue that because the process can be done just occasionally and bit-by-bit, it can be programmed to heal just when a device is hibernating and connected to a power source. Basically, as project deputy director at Macronix Hang‑Ting Lue puts it, "It's not going to drain your cellphone battery." So when will we see this self-healing memory make its way into our handsets and computers? It might not be as far off as it sounds. "It took a leap of imagination to jump into a completely different regime…very high temperature and in a very short time," says Lue. "Afterward, we realised that there was no new physics principle invented here, and we could have done this 10 years ago."